Even with everything in the world going digital, it still seems like we’re all drowning in paper. Piles of junk mail, stacks of extra event brochures, mountains of catalogs—sometimes it’s all you can do just to find a clear spot on the table. But if you’re anything like me, throwing all of that paper away just seems wrong, especially when it’s chock full of crafting potential. In fact, there are plenty of lovely housewares and accent pieces you can make with the leftovers from your mailbox. From delicate wreaths to sturdy gift boxes and everything in between, paper projects add a hint of vintage elegance to your home decor, making it look as though it was ripped straight from a bibliophile’s dream. And when you recycle paper, you can get the materials all virtually for free! Let’s take a look at some of the best ways to put your leftover junk mail to work. Block letters in an antique typeface is a way to get that old-timey newspaper feel (and all the inspiration that attends it!) over your home office desk. Wooden letters precut and purchased from a craft store make this project super easy, meaning that you can have it done and up on the wall fast, so you can spend the rest of the time cooking up the next great American novel—or just that report due on Friday. Why should wreaths be just for the holidays? 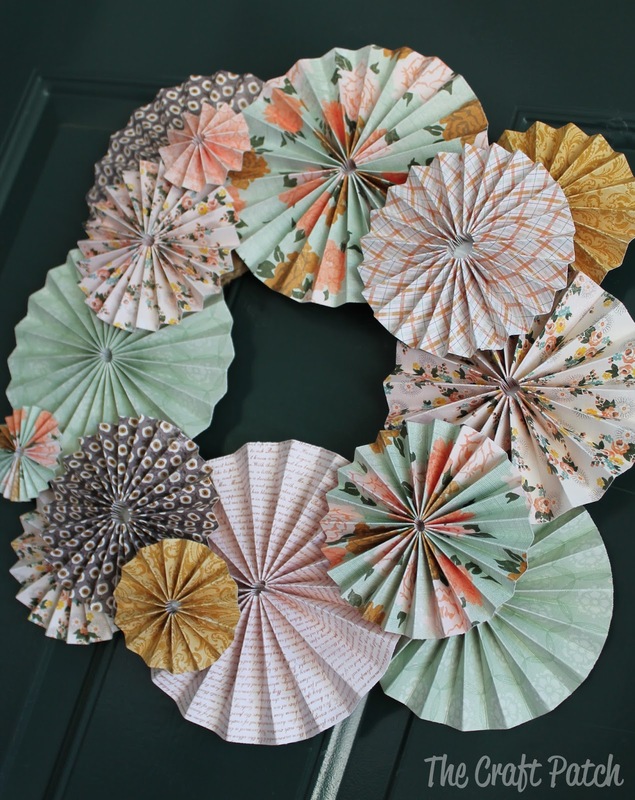 This pretty pompom wreath is a great way to use up extra scrapbook materials, and the end result is a delicate, pretty accent that’s good all year round. If seasonal is your thing, though, you can even swap out the color scheme to incorporate the appropriate hues—they’re so simple to make, you won’t mind whipping up a few extras. Turn Your Paper Into…More Paper? By “more paper,” I mean prettier, fancier, homemade paper, of course. The pieces that come out of this tutorial are just darling, and make the perfect stationery for handwritten letters, love poems, and other special missives. Plus, there’s nothing like reducing your mail to a pulp, only to later see it transformed into a pretty, textured piece that looks like it came straight from the craft fair. Take that, phone bills! There’s definitely a way to do fall decor that isn’t all hay bales and country kitsch. 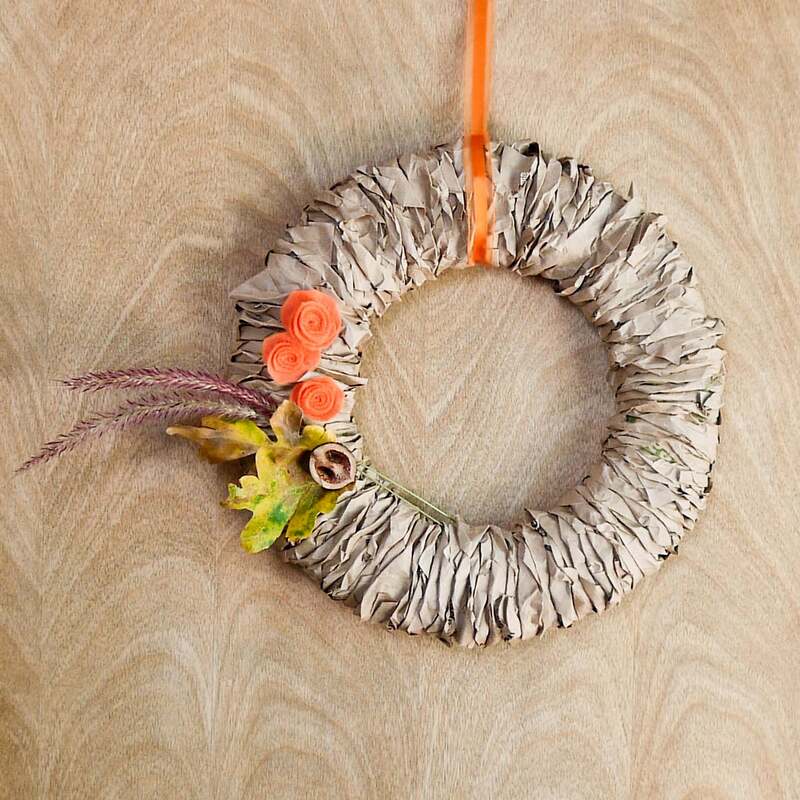 This chic DIY wreath takes a mere paper bag and elevates it to something you might find bedecking the shelves of Anthropologie. It’s so pretty, you’ll wish you had more than one front door to decorate. This site is one of my crafting go-tos to find quality paper projects. These DIYs are so realistic, they’ll have you doing a double take. 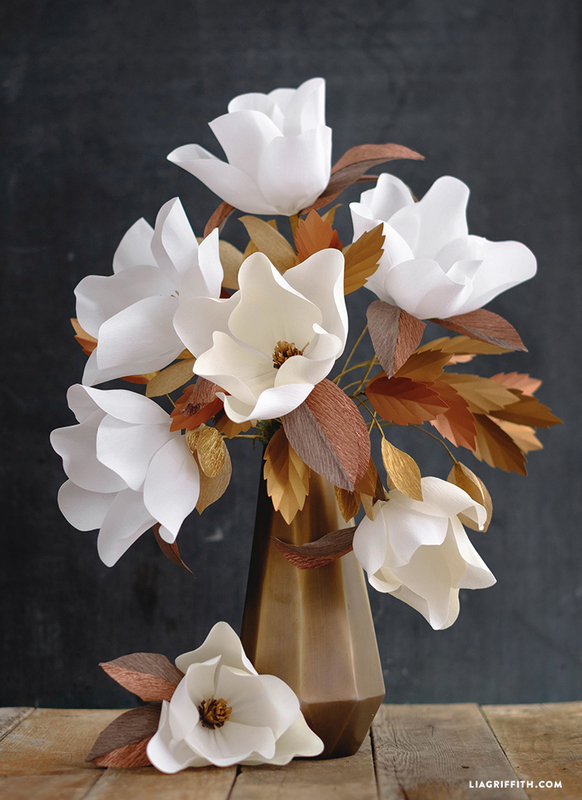 I’m particularly fond of this magnolia bouquet, that recalls the ease and grace of moonlight and hoop skirts and all things Southern. A tisket, a tasket, a woven newspaper basket? Consider this great tutorial the pièce de résistance when it comes to recycling yesterday’s news. These baskets make the absolute best vessels for spur-of-the-moment gifts, or for holding bathroom toiletries, loose potpourri, and other household goods. They look as good as any professional could make! With recycled paper projects this beautiful, it’ll probably be a long time before you need to visit the craft store again. Who says crafting has to be expensive?